A new era in world sport took place in 2018 as Glasgow and Berlin hosted the inaugural European Championships – an exciting new multi-sport event bringing together some of the continent’s leading sports. Touch of Ginger was awarded the contract to design, make and deliver the medals for this inaugural event. A new era in world sport took place in the summer of 2018 as Glasgow and Berlin hosted the inaugural European Championships – an exciting new multi-sport event bringing together some of the continent’s leading sports including the existing European Championships for Athletics, Aquatics, Cycling, Gymnastics, Rowing, and Triathlon, with a new Golf Team Championships. To be staged every four, the European Championships will be a new highlight on the global sporting calendar. Touch of Ginger was awarded the contract to design, make and deliver the medals for this inaugural event. 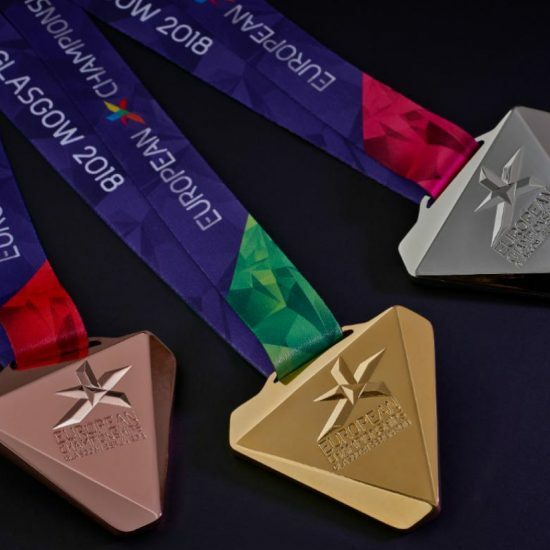 The unique, beautifully crafted medals were specially created by Touch of Ginger for this inaugural multi-sport event, as the unifying element for the seven individual European Sports Federations and will be a lasting legacy of the event’s first edition. 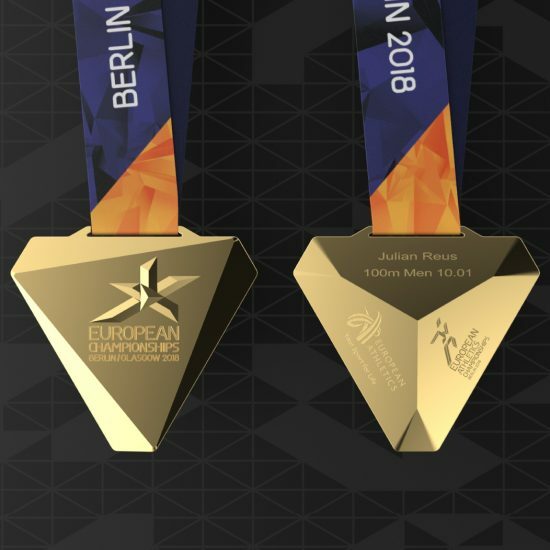 The medal design is bold and dynamic with a contemporary triangular prism form inspired but the European Championships emblem. The front features a stylish 3D interpretation of the Championships brand whilst the faceted rear displays the participating sports federation logo along with event specific data. Each medal is hung from a ribbon featuring a striking crystal design that builds to a full spectrum of rainbow colours capturing the spirit of this multi-sport event. A hat-trick of quadruples or a fourpeat times three. 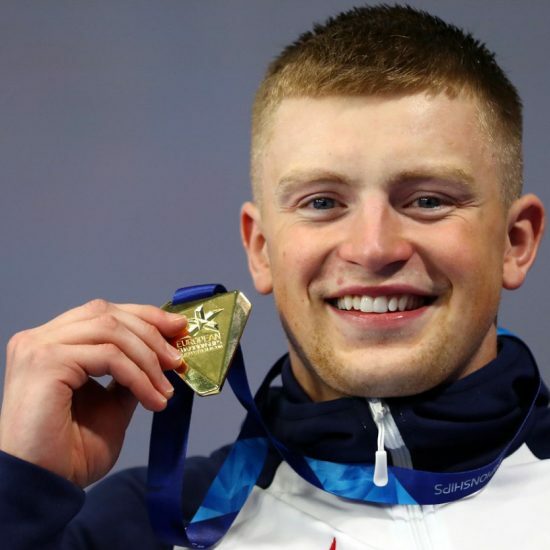 Whichever terminology, it illustrates the mutual affection between Adam Peaty and the European Championships that concluded in Glasgow with the Olympic champion collecting his fourth gold in the 4x100m medley relay.